Let the 10 Strawberry Street WTR-CHOPSTICKS Whittier Bamboo Chopsticks Set enhance the look of your Asian-themed restaurant while providing your guests with sturdy chopsticks that are both attractive and durable. Made of bamboo, these reusable chopsticks are black, making them a stylish alternative to natural wood color chopsticks. 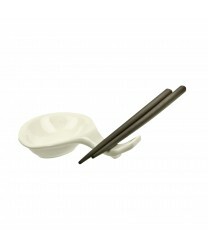 They also feature a smooth construction that is comfortable to hold and is dishwasher safe .